From the bathroom to the kitchen, plumbing issues can affect your entire home. Plumbing problems have the potential to cause serious issues for your home from burst pipes to major drain clogs and sewer line backups. When something goes wrong with your toilet, sink, grease trap, drains or sewer pipes, quick response time is essential. For prompt, reliable plumbing repairs, contact Chavarria’s Plumbing, Inc. Our crew is available 24/7 for emergency repairs, and we will arrive to your home quickly when you need us most. With years of experience under our belts, we know that some plumbing problems can be dangerous and property damage isn’t cheap, so we always act quickly. When you hire us, you can expect us to fix your plumbing problems the first time around. Unlike some plumbers who overcharge clients for repairs, we always charge a fair and competitive rate for all of our services. When you hire Chavarria’s Plumbing, Inc. you can rest assured you won’t be taken advantage of. When you are in need of new plumbing fixtures for your home, call in our crew for complete plumbing installation service. Whether you have a brand new home or are giving your current home an upgrade, you can count on us to use the best installation practices and equipment available. Need a rooter service? Call our plumbing contractors today! 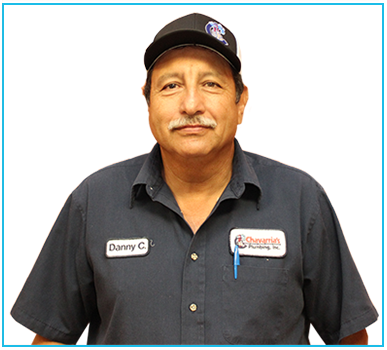 From rooters to drain cleaning, our residential plumbers do it all! Contact us today to learn more, and let us know how we can assist with your home plumbing project.